Local craft breweries in Michigan and abroad are growing at astonishing rates. With increasing demand for product, comes an increase in production. 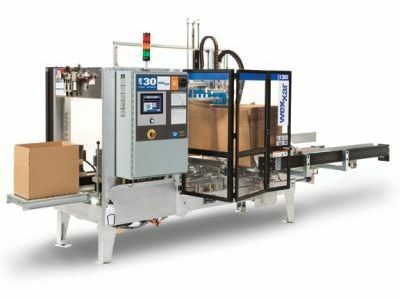 Technical Packaging Systems is here to make sure that your packaging can keep up with production and demand for your product. The cost of a machine is a one-time purchase that will, over time, pay dividends. Click here to view our case forming options, or Click Here to view our case packing options. TPS offers both semi-automatic and automated case sealing solutions to meet the project budget, as well as product requirements. We set up our proposals to meet cost, feasibility, ergonomics, and product needs. We partner with several case packing companies, and will do the "shopping around" for your company, so you are guaranteed to get the best product for the best price. Our sales team will visit and tour your facility to view your current packaging process to determine the needs and requirements of the line. TPS looks at your goals and where you plan to be in the future to make sure your solution will be long-lasting, and provide long term benefits. We understand that no one knows your product as well as you, and any specific requirements you may want /need, we can meet. We have been in the packaging business for over 30 years and know how to optimize any line. We are proud to work with local Kalamazoo breweries to help them expand their operation without sacrificing product quality. Whether in the local Kalamazoo area, Michigan, or in another part of the country, TPS can provide a turn-key solution to your packaging needs. We offer an integrated engineering approach, as well as project management to see the project through from beginning to completion.